Can robots make medical and health care more effective? Will I be able to work at the beach as if I were sitting in the office in the near future? Do I want this? Digitalisation is happening now. It affects not only our private lives, it also affects our work’s social and ecological impacts. Digitalisation has many social and ecological benefits. It allows us to work from home, thereby avoiding pollution from traffic, automates many standardised processes and can increase safety in the workplace – think about robots that do the risky manoeuvers in the factories. At the same time, digitalisation can be scary. Will I lose my job to automation or to artificial intelligence? Together with the Wuppertal Institute for Climate, Environment and Energy and the Folkwang University of the Arts, the CSCP implements the project „The Working World of Tomorrow“. In the project, we’ve designed a very special exhibition: with scenario worlds, we will present the future of different working worlds which are undergoing major changes due to digitalisation. Which technologies are going to make working from home a true alternative for many? What is the “dementia ball”? What is an i-Factory Master? How can we co-design the work life we want and use digitalisation in a way that serves not only us, but also considers social and ecological impacts? Using our experience with stakeholder dialogues, citizen-driven innovation, and visioning processes, the CSCP will coordinate the project and manage the interactive formats that bring together experts, citizens, and their visions of the future of our work. From October 2018 onward, the exhibition will travel through the six German cities of Wuppertal, Gelsenkirchen, Hannover, Kiel, Potsdam and Dresden. Establishing Popup Dialogue-Centres in vacant salesrooms, the exhibition is supposed to attract as many passers-by as possible. We will invite them to experience the exhibition, try out the future of work at hands-on terminals and have a discussion with experts and other visitors. The visitors will have the chance to interact with the exhibitions and share their hopes and fears about the changes under way. The Popup Dialogue-Centers enable citizens to take an active part in designing the future of work instead of merely reacting to developments. It will be a pilot for an innovative participatory format that shows what the co-creation of a global vision of a good life for all can look like at a local level. Visit the website and follow the project on twitter: @durchblickpopup. 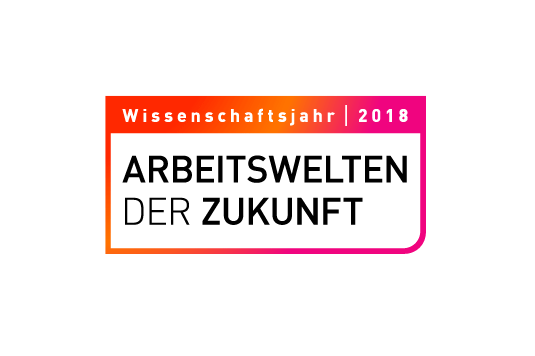 The project is part of the Wissenschaftsjahr 2018: The Future of Work and funded by the German Federal Ministry of Education and Research. The Scientific Years aim to bring scientific research findings to the people and to invite them to share their point of view and experiences.